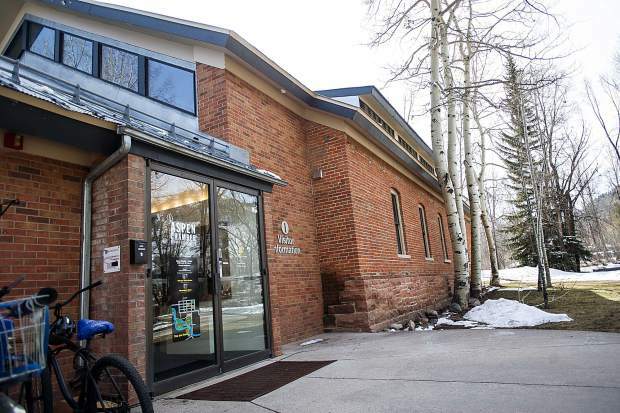 The Aspen Chamber Resort Association has signed a five-year lease with the city to occupy office space in the Old Power House on North Mill Street. The building, situated along the banks of the Roaring Fork River, also will serve as the chamber’s visitor center. 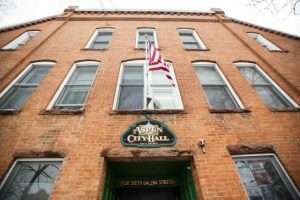 ACRA is being charged $19.72 a square foot, according to the lease agreement signed off by City Council last week. That equates to just over $4,067 a month, along with a portion of expenses for the building. City officials estimate those to be around $650 a month. 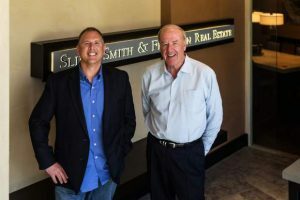 At just under 2,800 square feet of space, the deal is favorable for ACRA, said Randy Gould of Aspen Appraisal Group, a firm that has been watching the local real estate market for over 40 years. He said free-market rates for office space range from $25 to $75 a square foot, depending on location and the condition of the buildings. Common area maintenance, also known as CAM charges, are additional costs and they hover between $10 and $30 a square foot. “I think it’s pretty fair to say that’s a below-market rate,” he said. That square footage rate is set intentionally low because of ACRA’s nonprofit status, according to the lease. It is a carryover from what the chamber was paying the city at its offices at the Rio Grande Parking Garage, said Scott Miller, the city’s public works director. Jack Wheeler, the city’s capital asset director, said eventually staff will look at the lease rates for all of its properties, but for now the status quo will do. ACRA has an option for another five years in the building, and must notify the city of its intention six months prior to the first lease expiring. Up until recently, the Old Power House building, which served as the city’s power plant in the late 1800s, was envisioned to be a community space. 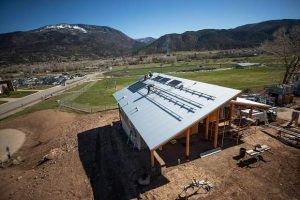 A few years ago — after an extensive request for proposals process — council had selected a for-profit entity that included Aspen Brewing Co., Channel 82 and another operator that would have provided incubator offices. 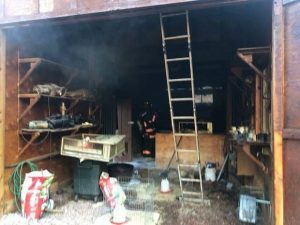 But the threat of a lawsuit by neighbors resulted in the city pulling the proposal. The building is now being used for the city’s Capital Asset Department and ACRA. The chamber moved in in November after being relocated from its old spot at Rio Grande to make way for new city offices. But because a few citizens are challenging the land-use approval for the 37,000-square-foot building in court, that project, and others associated with it, are on hold. “There is space allocated for ACRA to move back into the city offices at Rio Grande,” said Jeff Pendarvis, the city’s assistant capital asset director. But when that will be is anyone’s guess. So for now, ACRA will stay down by the river. And that’s just fine for Debbie Braun, the chamber’s president and CEO. She added that it will be a bit of a challenge to direct visitors there, as the building is tucked away and its parking lot can be difficult to navigate, especially for large vehicles such as RVs. Braun said she hopes to use the free Downtowner electric vehicle to cart people there from town or the parking garage. ACRA and the city plan to add wayfinding signs that are designed to make it clear where to find the building. A mobile visitor center is in the works, as well, and will be located by the parking garage. The new location has something the old one doesn’t: a lawn. Braun plans to market the visitor center as a destination, with games and other interactive activities.